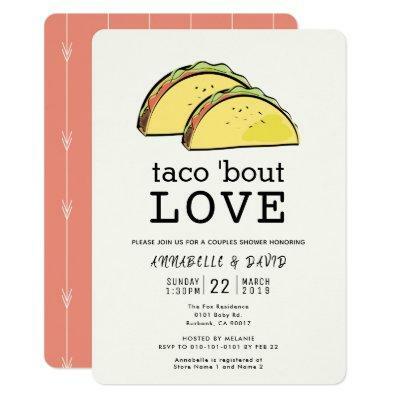 This simple and modern " taco &#;bout LOVE " couples shower invitation features a light beige background with two tacos with simple and bold letterings. The reverse side features a terracotta red background with white arrow patterns. Change the background color and personalize for your needs. You can find more matching products at my store.